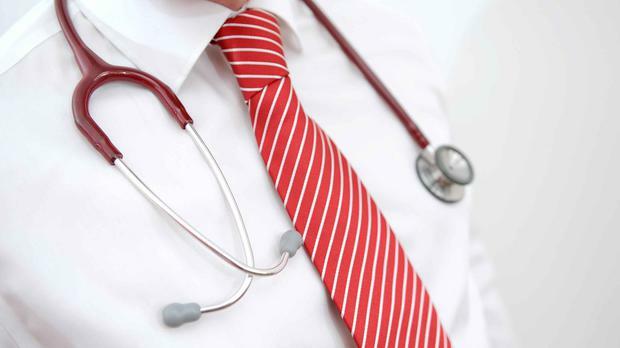 Doctors have voted overwhelmingly to urge the Government to remove health and social care services from a controversial trade agreement between the EU and United States. "If there is anything resembling an NHS by the time this treaty is negotiated it won't survive," one GP warned. The debate took place on the first day of the British Medical Association's (BMA) annual representative meeting in Liverpool, where doctors argued that the proposed Transatlantic Trade and Investment Partnership (TTIP) was designed to meet the interest of private corporations and will open up the health service to privatisation by US firms. Dr Gregor Venters, a GP from Edinburgh, said: "TTIP seems set up to help big business. "Private corporations could use the process to bully governments into dropping legislation to improve food standards, for example. "It will have a deleterious effect on public health and make privatisation of the NHS not only possible but probable. The least we can expect is the exclusion of health and social care and public health policy from the process." Dr Henry McKee, a GP from Belfast, was introduced to delegates as being against the motion - but told them it was because "it doesn't go far enough". "Freedom of information requests of other countries which have entered into such agreements show exactly how damaging this treaty will be to both the social fabric and the health economy of this country," he said. "If there is anything resembling an NHS by the time this treaty is negotiated it won't survive this treaty. "The correct motion is to kill this treaty dead, not to tolerate it sneaking in and mugging us." All but one delegate voted in favour of urging the Government to remove health and social care services and public health legislation from the TTIP negotiations. Prime Minister David Cameron has previously said there is "no way" the agreement would have any impact on the NHS.